Pimples are the most common skin problem experienced by a majority of people. This skin condition not only makes your skin dull but also makes your appearance ugly. There are a lot of factors that can lead to this skin condition like clogged pores, bacteria build-up etc. While you can find a variety of products that claim to solve this skin condition but there are only a few products that live up to the expectations. So, to help you guys out, we have found a natural hack to treat this skin issue. 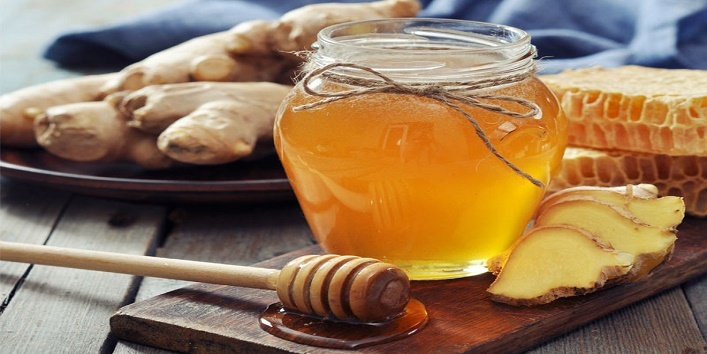 Here we are going to share a simple DIY honey and ginger face pack that will help you get rid of this issue effectively. • First, take a bowl and mix 1 teaspoon of garlic paste with 1 teaspoon of honey. • Now, apply this pack to your face and allow it sit for 10-15 minutes. • Then, wash off your face with warm water followed by a toner. For effective results, use this pack twice a week. This pack works effectively because the anti-bacterial properties present in the garlic helps in treating pimples and helps to destroy the free radicals and bacteria that can cause harm to your skin. Besides this, it also helps in treating your overactive oil glands which further helps in preventing clogged pores. On the other hand, the honey present in this pack provides deep nourishment to your skin and keeps your skin soft and supple. 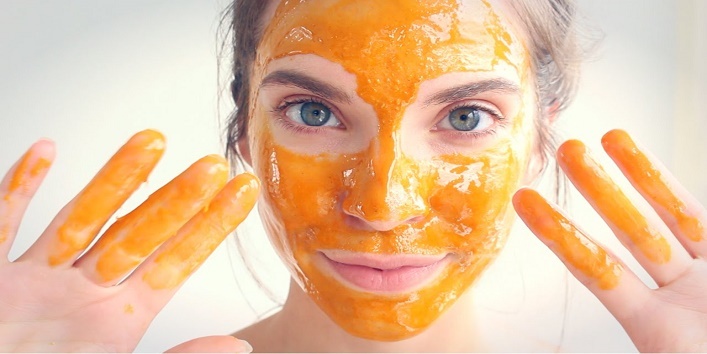 • The high acidic level of the honey makes it an ideal remedy to combat skin-damaging bacteria. Plus, it also helps in maintaining the pH level of your skin. • It contains powerful antioxidants that not only nourish your skin but also help in improving your blood circulation. • Honey is also known as an age-old remedy for cleaning your skin as it can effectively remove all the dirt from your skin. • It contains therapeutic properties that can help in treating irritated skin and rashes. • The anti-bacterial properties present in it make it the best remedy for treating pimples and acne breakouts. • Garlic contains a compound allicin which contains antibacterial agents that can kill the pimple-causing bacteria and reduce the chances of breakouts. • The skin-saving properties present in garlic help in improving the elasticity of the skin. Thus, reducing the chances of stretch marks. • It can do wonders for an oily skin as it helps in absorbing excess oil and prevents overproduction of sebum. • The antioxidants present in it not only protect your skin from the external factors but also help in rejuvenating your skin. • It contains certain compounds that can help in combating the free radicals and slowing down the process of aging. • Avoid popping pimples as it will only spread the infection and cause other skin issues. • Try to keep your skin clean to prevent bacteria build-up. • Exfoliate your skin on the regular basis to remove dirt and sebum from the skin pores.